Monochromatic photography is only about composition, shades, and framing. It is a hard game with a dramatic impact. There is no place for mistakes here. This is why monochromatic photography is widely used in documentary, reportages, and social projects. Throughout time, Romanian photographers have put their names on emblematic pictures. They've depicted life as they knew it, with wars, social issues, politics, nature, and so on. Some of them have been discovered long after their death, some of them are just starting to show their potential. Nevertheless, all of them deserve admiration. Here are some Romanian photographers that you should remember. Born in Cluj in 1812, Carol Popp de Szathmári studied laws and arts. From his travels he brought home watercolour paintings that looked like reportages. He discovered photography in 1843 and was so fascitaned about it, that he took his camera with him when he went to war. He did photographic reportages from the Crimean War (1853 – 1856). Between 1860 and 1870 he published an album with more than 100 photographs. He continued to take war pictures and documented the Independence War (1877 – 1878) as well. Carol Popp de Szathmári was one of the first 10 photographers in Europe and he is considered the first war photographer in the world. He loved to travel and his pictures cover very distant parts of the world, like China and Siberia. European royalties honoured him with distinctions as he was welcomed everywhere. Iosif Berman started his photographer life in the childhood, accompanying itinerant photographers around the country. He started to make money from pictures before his 18th anniversary. His focus were social problems, so his pictures were quickly published in newspapers as social reportage. During the First World War Iosif Berman was a regiment photographer. He continued to take pictures after the war and published in different national newspapers. He also took interest in rural Romanian life and did reportage featuring Romanian traditions and arts. Iosif Berman published his photos in The New York Times and National Geographic, and he was corespondent for Associated Press and Scandinavian Newspapers Press. Recently, his photographs of the Romanian villages were found in a museum's archive and published in an album along with a documentary of his life. Costică Acsinte enrolled as pilot in the First World War, but he mainly activated as aerial photographer. This new skill became a lifetime job. After the war, he opened a photo studio in his home town. In his studio, he did mostly portraits and family pictures. For landscape pictures he traveled across the region. Costică Acsinte depicted Romanian rural life in a realistic and honest way. Recently, the pictures made by Costică Acsinte were found by a collector. Brought to life, the pictures traveled across the world. Exhibitions and albums show the true face of the Romanian village in the XXth century. Although he did not leave his region, the pictures of Costică Acsinte are a natural storyteller and a real value for Romanian ethnography. Ioniță C. Andron was a lawyer, theologian, and photographer from Oaș County. He started to take pictures at 17 years old, when he received a camera from his father. At first, he did portraits for his family and friends. Then he started to explore the region and covered in his pictures the social life in the Romanian villages. Ioniță C. Andron didn't have art studies, but he was extremely gifted and had a passion for rural lifestyle. He collected rural art and his home looked like a museum. After his death, more than 93 000 of his pictures were bought by the local history museum. His work is the largest ethnographic documentary of the Oaș County. Although he has a PhD in literature, Andrei Baciu is known for his photography. He likes landscape photography and he is always looking for new places and sceneries. Monochromatic photography brings him closer to the subject and lets him explore more of the story. If you are curious about his work, you'll see that every chapter has a story, a deep and profound one. Andrei Baciu is a storyteller, but also a trainer for photo classes. This year, his goal is to teach photography in the Danube Delta, one of the most beautiful places in Europe. Nicoleta Gabor is a civil engineer with an eye for photography. Her pictures have been exposed in national exhibitions. She is especially fond of monochromatic photography and believes in the documentary value of this art. But Nicoleta Gabor adds patience, soul, and hope to her pictures. She says she can express better without colors, because winter, mist, rain have no color, but so much poetry. 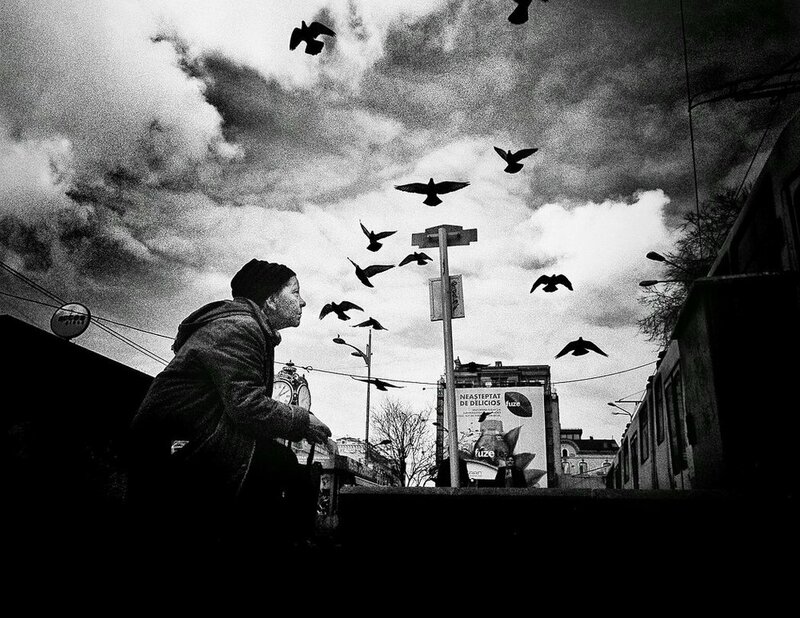 Mirela Momanu is a street photographer, trustee of the exhibitions organized by "București-ul meu drag" Association. Admirer of Henri Cartier Bresson and Ansel Adams, Mirela Momanu dedicates a lot of her works to monochromatic photography. She has a soft touch and an eye for silhouettes. Street photography brings her joy and you can see that in her pictures and in her work in promoting street photography in Romania. In the last years, Mirela Momanu's photographs were present in personal and group exhibitions, in Romania and world wide. Cristian Munteanu is known for his photo reportages from Roșia Montană, Groapa Văcărești, and other social projects. Many of his pictures are monochromatic photographs, as a response to dramatic situations and characters. Cristian Munteanu divides his pictures in people, street, urban, theater, and public events. He dedicates equal energy to each of them. You can see Cristian Munteanu's photographs in National Geographic and Mediafax. He is a complete photographer, with a sensitive eye and a profound understanding of our times. 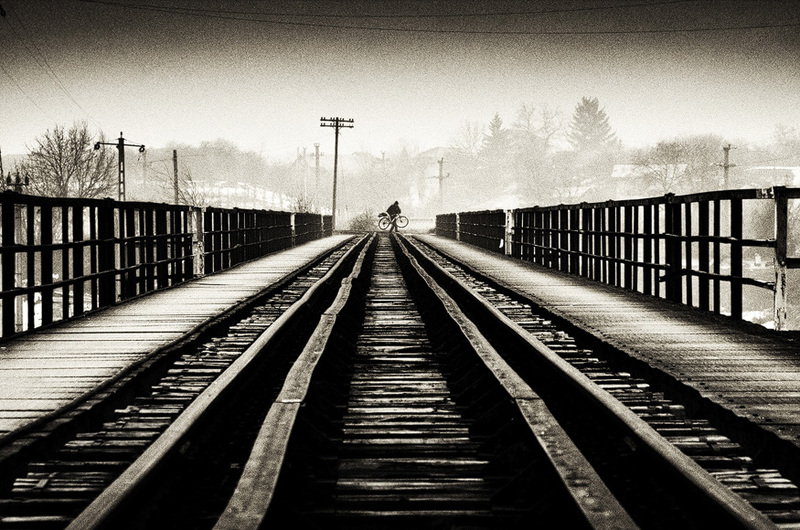 Cornel Pufan in considered a poet of photography. He started with color photography, but soon realized that his love for mountains and landscapes is better shown in monochromatic pictures. Although he works as an electrician for a hydropower plant, his name is more related to artistic photography. In his travels, Cornel Pufan works with nature like a director. He uses mist, snow, clouds, any natural element that can give a dramatic and artistic touch. People or mountains, they all are actors in Pufan's hands. You can read more about Cornel Pufan in the article dedicated to him. Sorin Rechitan is in love with travels and mountains. He is specialized in landscape photography, but he dedicates a lot of his energy to monochromatic photography as well. His works were appreciated in international competitions. Last year, for example, one of his pictures was nominalized at the Sony World Photography Awards, Nature section. His love for mountains drove him all around the world. Exploring and discovering new ascends is a way of life. Some of his stories and photographs were published in an album dedicated to Retezat Mountains. If you liked this article, here are some more pictures and below some cool photography articles for you.